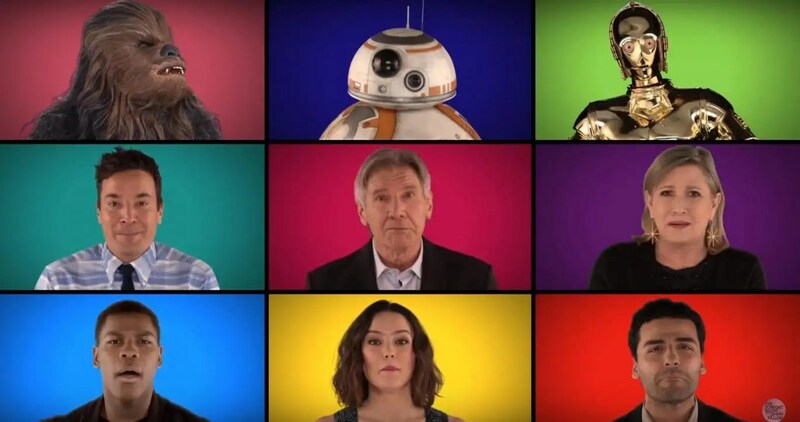 Star Wars mania, part 1: The Force Awakens Cast Sing Star Wars Medley A Cappella (Carrie Fisher’s facial expressions are life-affirming throughout) (as are her gold starburst earrings). Star Wars mania, part 3: Joseph Gordon-Levitt As Yoda Is Hands Down the Best Fan Costume at Star Wars Premiere. MARRY ME. Star Wars mania, part 4: Oscar Isaac Covers Bill Murray’s Star Wars Theme Song, Crushes It. Also MARRY ME. I mean really, how adorable is he? He’s having a moment right now and I am HERE for that. Star Wars mania, part 5: Weather Presenter Drops 12 Star Wars Puns in 40-Second Report; Nerds Everywhere Fall in Love. These are delightfully vicious: 22 Movies Roger Ebert Really Hated. That moment when you watch an Abby Wambach tribute video in a shared conference room at work and start crying: 90 Will Never Be Quite the Same Without You. ‘Tis the season for Love Actually articles: Love Actually’s Scriptwriter Live-Tweeted the Film and Your Brain Is Going to Explode. Cackling: Will Ferrell and Billy Eichner Shout at New Yorkers About Christmas Films.